It’s extremely difficult to give an exact prediction of the match between Liverpool / Manchester City, because both teams are very strong. By the will of fate, both English clubs are already in the quarter finals of the Champions League, which means that only one team will go further and there is no clear English finals for this season, and although it seemed that the chances of such an outcome are unlikely, there will be this fight. After all, if now someone is able to beat the menacing Manchester City, then this is just Liverpool. In my opinion, this will be the most interesting and vivid game of the quarter finals of the Champions League! 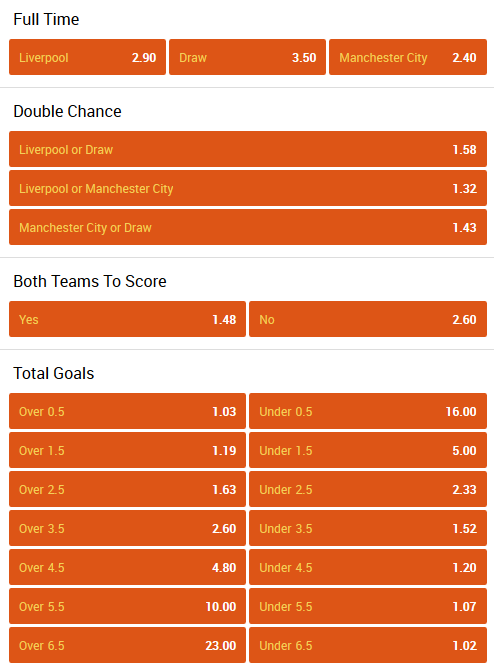 Both Liverpool and Manchester City easily passed their rivals in the 1/8 finals – Liverpool knocked Porto out, Manchester City also made it easy with its rival – Swiss Basel, defeating them 4:0 in the first match, and casually losing the home match 1:2. I suppose that in the first match, and at the same time in its stadium, Liverpool will play attacking, which they have in this season is not bad at it. On the other hand, Manchester City has already secured a championship in the Premier League and can throw all its forces into the match against Liverpool, not paying attention to the upcoming game with Everton. So we are waiting for a grand meeting of the grants of English football. This match will be held at Anfield and this will also help Liverpool in the struggle for victory. And Manchester City will be determined to score as much as possible on a visit, hoping for a weak defense of Liverpool.